This Pokemon can only be a Benched Pokemon. 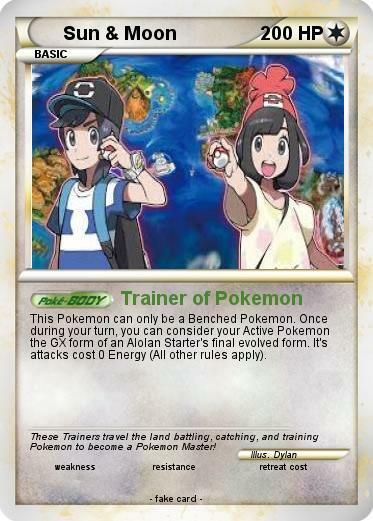 Once during your turn, you can consider your Active Pokemon the GX form of an Alolan Starter's final evolved form. It's attacks cost 0 Energy (All other rules apply). Comments : These Trainers travel the land battling, catching, and training Pokemon to become a Pokemon Master!